Why not try tipis as a unique touch to that special day. Whether it be a wedding or even a small family event. Tipi's can hep to create a unique experience that you'll never forget. If you need any help or assistance of any kind with tipi hire please feel free to contact us. Our tipis are manufactured by Tentipi, a Scandinavian company that import the tipis to the UK and across the world. They are the leading manufacturer supplying UK tipi companies and have been here since the late 1990s. Spacious and atmospheric tipis are a very popular marquee alternative. 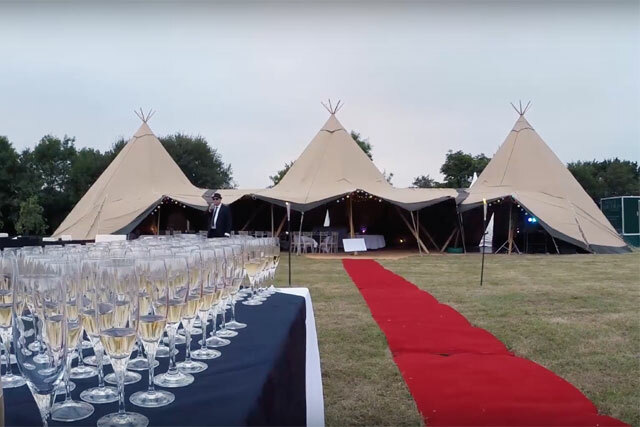 Any number of tipis can be linked together paired with the ability of raising the sides to make one larger space allows you to cater to an event of any size from a family gathering to a gargantuan wedding/party. Tipi's are new to the market and really provide the wow factor when you walk in. Catering tent, walkway, pea-lighting, festoon lighting at entrance. Make a change from the norm and get people talking, be creative and hire a tipi. 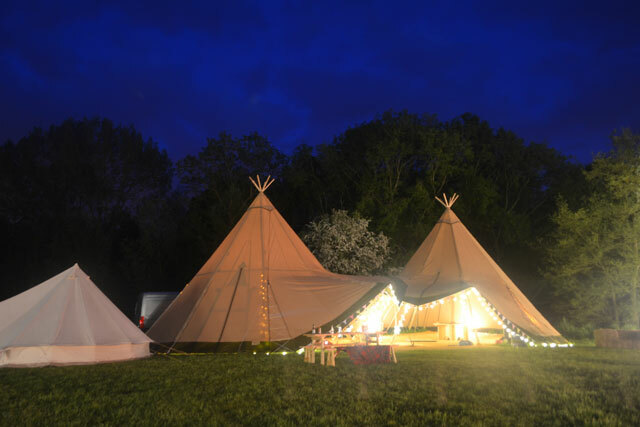 We offer competitive rates, with quick delivery and set up when it comes to tipi hire in Essex or throughout East Anglia.